In a strip mall in L.A.’s Chinatown, Alvin Cailan is grilling chicken and slathering it with a citrusy annatto baste. He’s at Unit 120, his restaurant incubator, though he’s better known as chef-owner of the West’s wildly popular Eggslut restaurants. Unit 120 is closed to the public today, but rap music thrums inside the kitchen while Chad Valencia of Lasa restaurant seasons pancit noodles and Isa Fabro layers a mango dessert. 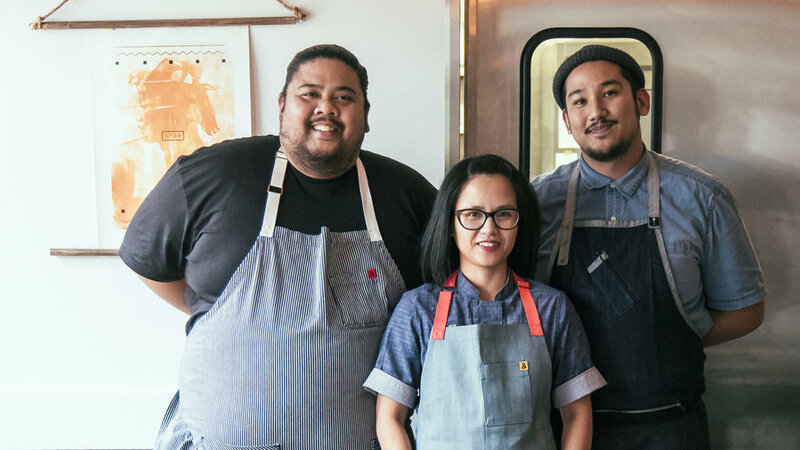 The chefs, all Filipino Americans, are creating an off-the-menu dinner for family and friends that highlights some of their projects at Unit 120—and the new direction of Filipino cooking. “It’s like a clubhouse for chefs, with a mission,” Cailan explains about the small space. Here, cooks can try out long-term residencies, pop-ups, even a single dish—without committing to a brick-and-mortar business. Since Unit 120 opened last year, Cailan has experimented with a barbecue concept, while Fabro has been working on Filipino-style pastries and pies. 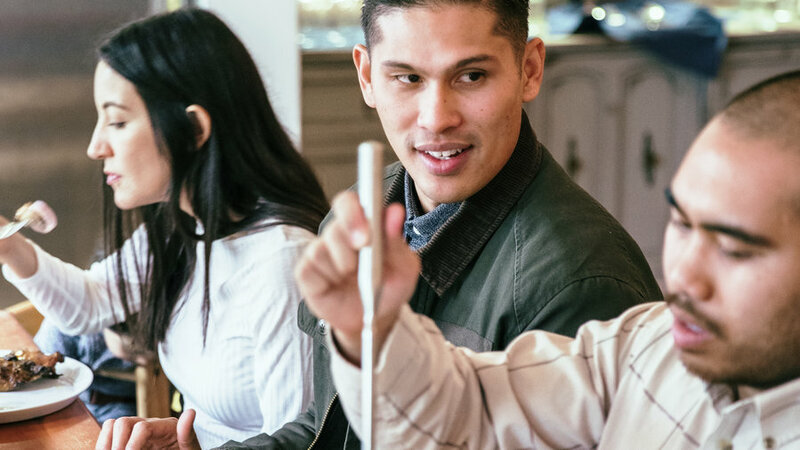 After launching Lasa (“taste” in Tagalog), Chad and his brother, Chase, are expanding with a full-time restaurant next door. 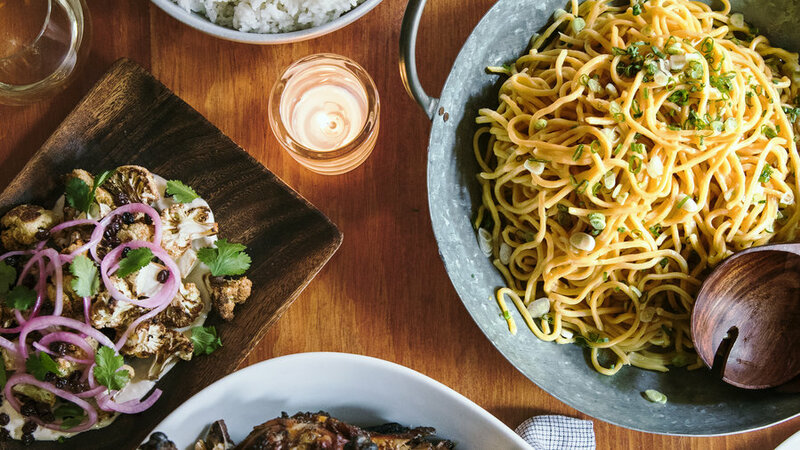 All of the chefs, who come from a fine-dining background, tend to call their cooking “Filipino inspired.” They experiment with new techniques and ingredients, while keeping the bold flavors of the cuisine—the funk of fish sauce, the fat, and acid—front and center. And that’s true of the feast today, served up to a special group of friends they call their barkada (or clique). “Now all we need is a grandma,” says Cailan, as they sit to eat. Take the comfort of buttered noodles, add the tang of citrus and the saltiness of fish sauce, and you have Chad Valencia’s totally addictive pancit. The chef loosely modeled the dish after the Italian classic spaghetti aglio e olio. Meet this year’s go-to grilling recipe. 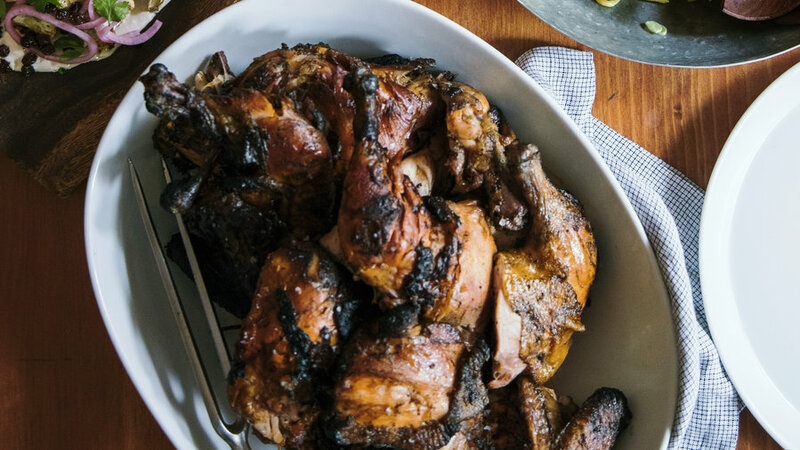 Alvin Cailan, who grew up in East L.A. and learned to grill alongside his dad, brines chicken for 1 to 2 days to deeply infuse the meat with garlic, lemongrass, and citrus. Then he slathers it with an earthy annatto baste for extra juiciness, and finishes with tangy toyomansi—a table sauce typical in Filipino households. Feel free to serve a big bowl of jasmine rice on the side. 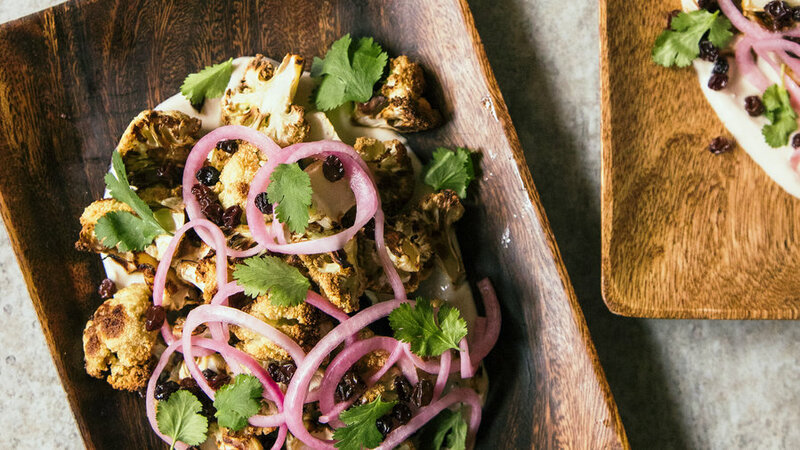 Chad Valencia brings Filipino flair to the roasted-cauliflower-with-yogurt combo that’s become so popular these days. His tangy pickled onion and currants are based on a sweet-and-sour condiment called atchara. The vinegar with the yogurt is inspired by tart sawsawan dipping sauces. 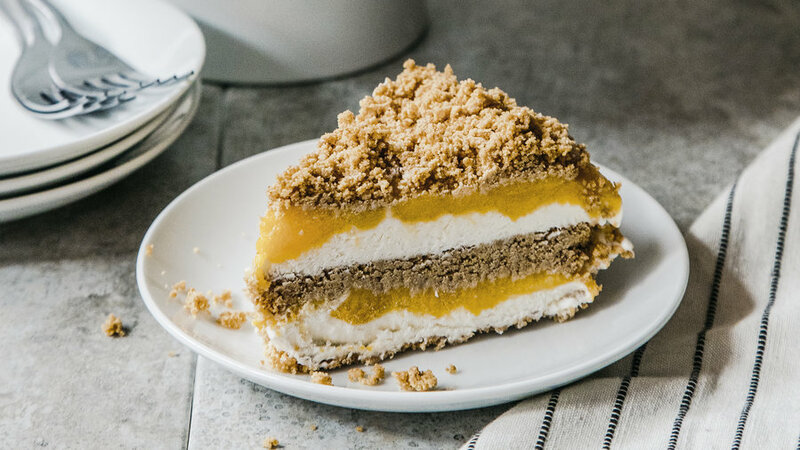 American icebox cake meets Filipino crema de fruta (a layered cake often made with canned fruit cocktail) in Isa Fabro’s fresh, creamy dessert. “It’s American and Filipino at the same time—like me!” she says. You’ll need a 9-in. springform pan, and a small offset spatula is helpful for spreading. Mangoes may need a few days to ripen in a paper bag. 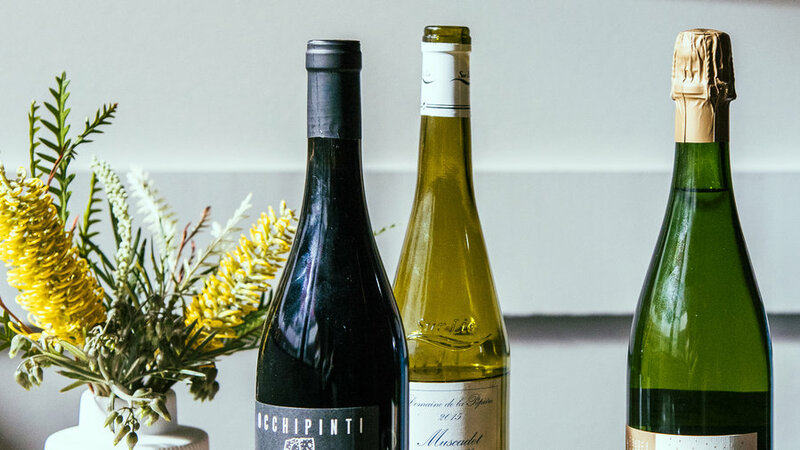 Anthony Cailan, beverage director of Proper Residences in Hollywood, and Alvin’s brother, poured these wines with dinner. Annatto These red seeds of the achiote tree add color and a deep earthy flavor to chicken-basting sauce (page 75). Find at Asian and Latino markets and . Ataulfo mangoes Also called Champagne mangoes, these satiny fruits have almost no fibers. Find at well-stocked grocery stores, Asian markets, and . Calamansi (calamondin) Unless you have a tree, you’re unlikely to find this citrus that tastes like a cross between lime and kumquat. 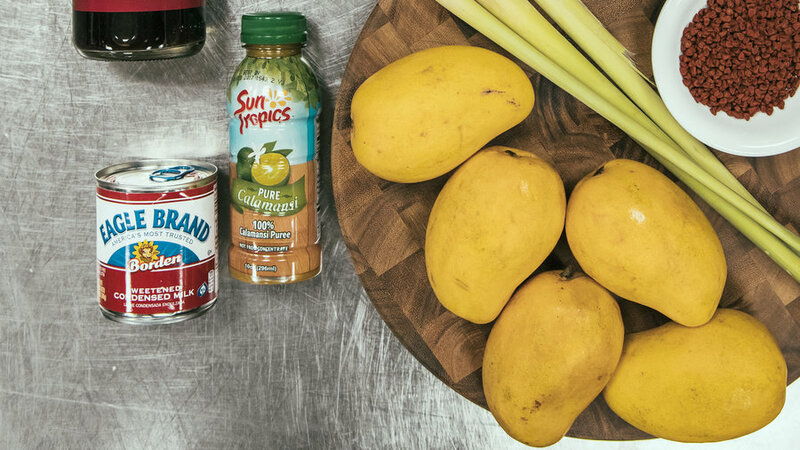 Check for bottled Sun Tropics calamansi juice—or use our fresh calamansi substitute: Combine 3 tbsp. lime juice, 1 tbsp. Meyer lemon juice, and 1 tbsp. orange juice. 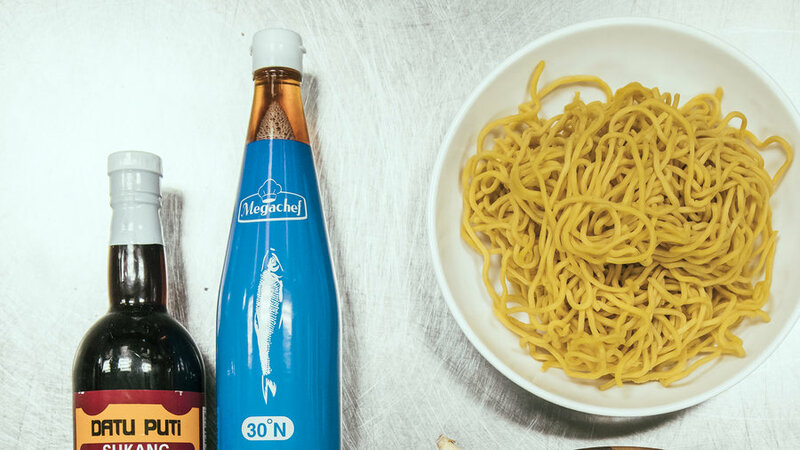 Fish sauce Unlike brands with fish extract and caramel coloring, umami-rich Megachef Premium Fish Sauce is made with anchovies and salt and fermented two years. Find at . Red Boat is a good alternative; find in well-stocked grocery stores. Lemongrass Buy heavy, fresh-looking stalks. To use in marinades, no need to trim the tough outer layers. Pancit Both the name of the noodles and a dish, pancit comes in many variations and can be made from wheat or rice. Find at Asian markets. Sugarcane vinegar A mild, sweet-tasting vinegar. Find brands such as Datu Puti at Asian markets and . You can also substitute a bit less of Champagne vinegar. Sweetened condensed milk Popular in many Filipino desserts.